Something very different in a world of cars that look, feel and sound the same. Trust the experienced hands of our Service Department to perform repairs and more. Take a look at our current featured new & pre-owned Maserati vehicles. Chris was our sales representative and he was awesome. Coming all the way from Pennsylvania he stuck with us until the end in buying what I believe is one of the sharpest and best sounding cars on the road today. The price they offered seemed to be one of the best we could find in our 4 surrounding states. Alfa Romeo's are absolutely beautiful automobiles. A true tier one experience. Alfa Romeo experts!! Ed was exceptional; the entire staff was far nicer than the staff at Ray Catena Maserati and Central Jersey Maserati. Their price was almost 25% lower than the surrounding Maserati dealers. You cannot beat this place, highly recommend. I recently leased a 2018 Grand turismo Sport MC package at Maserati of Morris County. I couldn’t find a better deal for the money. The professionalism and customer service at Maserati of Morris county surpassed another Maserati dealer in NYC. “Chris Ciccia was my sales person. I described to him the car I wanted within my budget, down payment and terms and he provided options, and advised me what was better. MMC and Chris (sales person)went out of their way to pick up the car I wanted from another dealership out of state!!. Lara Blanar was the finance person she was very professional, offered the tire wheels package and dent scratch package and explained it. The staff went out of their way to accommodate me & my wife. If you’re in the market for a Maserati or even interested in one, Maserati of Morris County is a great place. What an absolute pleasure ! Salesman Chris was awesome ! Customer service rep Alex was incredible ! Everyone there makes you feel so comfortable ! I’ll definitely always purchase my vehicles from these guys ! Thank you ! I just received my car back from service and I would like to give a shout out and 5-star review to Alexandra Kurpiel the client relations and service manager I dealt extensively with, AND, Chris Montero the technician who exclusively worked on my car. I highly, and I mean highly, recommend this dealership because of how Alex treated me. Not only was she super patient and extremely great to deal with given my situation, but without her, I would definitely be in a rut! My hats off to such a wonderful person! !Chris was the sole technician who worked on my car. He fixed up everything tip top, from the recalls, to the service to the damage the car received. I must say everything is running awesome. I only had a brief chance to meet him, and he was great. Even better was the work he performed. A+!Thank you both.David Y.
I recently had the pleasure of purchasing a Ghibli at Maserati of Morris County. Prior to the Maserati, I’ve leased a BMW 550i and an Audi A7. The professionalism, passion and customer service at Maserati of Morris county rival and in some instances surpass that of BMW and Audi. Joana, my sales person was just amazing. I gave her my parameters around mileage, down payment and terms and she provided many options. She was patient during the test drive and my many questions. We were able to negotiate a fair price. Lara my finance person was equally amazing. Sure she will try to sell you on the tire package and service package as part of her job but she did it with professionalism and it a way that was not off putting. To be completely fair, I must warm you that because this is a small dealership (almost feels like a boutique firm), you will have to wait (I waited the day of my test drive and negotiation and waited even longer when I picked up the car). The staff goes out of his way to be accommodating however. Having the right attitude helps. Besides, if you’re fortunate enough to be picking up a luxury car, waiting a bit for it is not the worst thing in the world. The Ghibli itself is the most fun I had driving a car. Maserati has made many updates since the launch of the car in 2014 which deservingly at the time received mixed reviews. The 2018 is a much better car. The growls of the engine alone is worth every penny. If you’re in the market for a Maserati or even interested in one, Maserati of Morris County is a great first step. I would like to be the first to introduce you to Maserati of Morris County, part of the Celebrity Motor Cars family of luxury automotive dealerships. At Maserati of Morris County, we strive for perfection in all we do – each and every guest will be treated like a celebrity and extended our red carpet treatment from the moment you arrive at our state of the art sales and service facility. I look forward to helping you with all of your automotive needs. Whether you’re pursuing a purchase or lease of a new or used Maserati, our vast inventory unites uncompromising quality with grandeur and instant success. Our model selection includes a wide array of Maserati Cars & SUVs which include the Levante, Ghibili, GranTurismo and Quattroporte. From new, used and certified pre owned models, our dealership has a Maserati that’s perfect for you. We have the largest service loaner car inventory in the industry, guaranteeing you a loaner vehicle while your Maserati is pampered in our state of the art service facility. Feel free to pamper your Maserati in our auto salon which will guarantee you instant celebrity status amongst your peers. 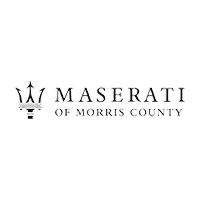 We invite you to Maserati of Morris County to experience first hand our white glove, red carpet customer service and the finest luxury cars ever built. You are our celebrity at Celebrity Motor Cars.